Dance of the Fireflies is a beautiful dirty simple strategy game for all the family. The game concept was conceived by Oliver Brooks. Illustrated by Amber Grundy & Victoria Hackett. It is a game for 2 – 6 players. Time per game is 15 – 30 minutes. Lord & Lady Backspindle need a new Head Gardener to look after the stunning Flower Beds in their family estate. They have decided to hold a competition to see who will win this revered job. Players compete against each other using Fireflies to pollinate Flowers and then plant them in colourful Flower Beds. 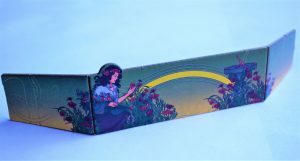 A full Flower Bed consists of 6 Flowers of different colours and earns the maximum number of points at the end of the game. A player can have multiple Flower Beds, but cannot have two Flowers of the same colour in the same Flower Bed. 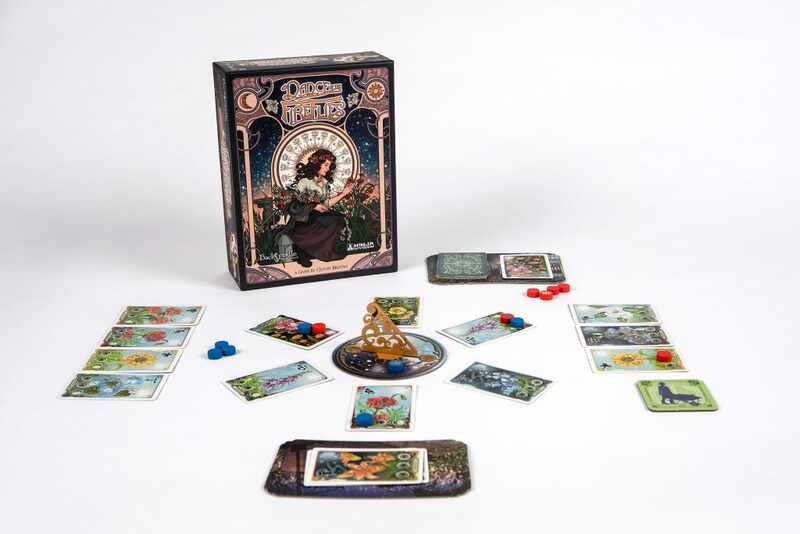 Players will use tactical deployment of their Fireflies and perhaps employ a little bit of sneakiness (by using their Royal Firefly) to outdo their opponent/s to win the coveted job. 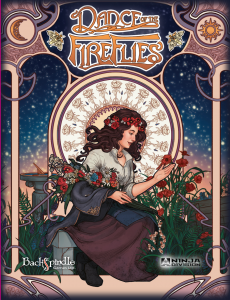 While stocks last, we will throw in FREE OF CHARGE a set of six Firefly Shields, so players can easily hide their firefly tokens and of course their powerful Royal Firefly.